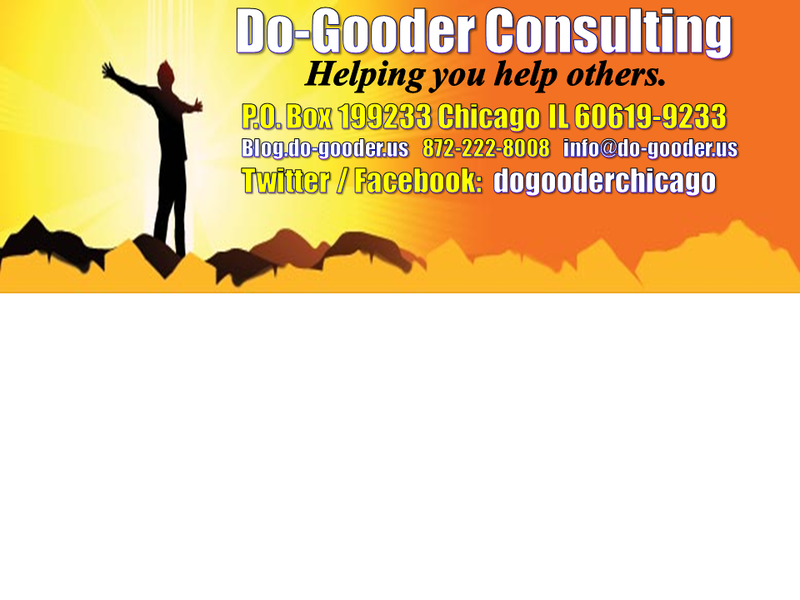 Do-Gooder Consulting is a new consulting agency, specializing in helping you help others. 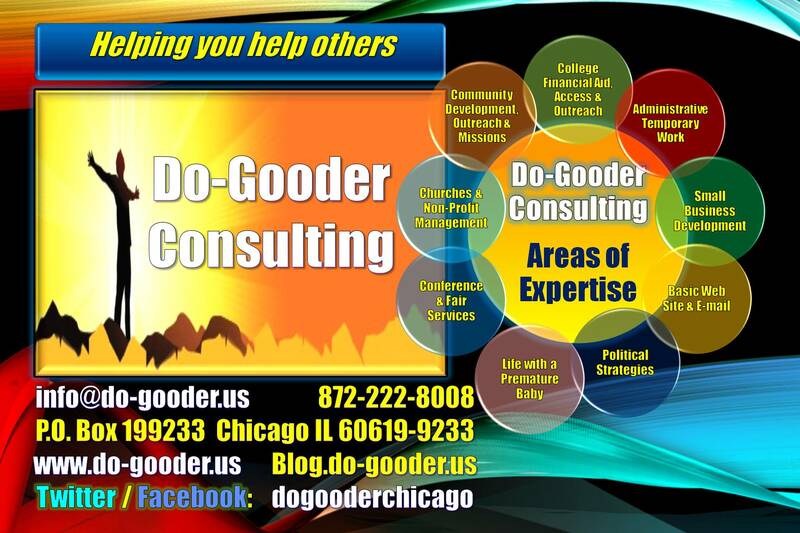 Whether you are working in a church, non-profit, organization, business or even on the political trail, Do-Gooder Consulting can help. Resources and knowledge are out there. However, your priorities are many while your time and finances are limited. Administrative Temporary Work Providing professional temporary work to meet your administrative needs at a competitive price. Community Development and Outreach Helping your nonprofit or business connect with your community. Basic Web Site & E-mail We can provide you with a domain name, e-mail addresses and a basic web site. Political Strategies Providing you with some initial research and simple but effective tools to help you. You can also look at our Introducing Do-Gooder powerpoint. We look forward to serving you. Love what you do- help people help others, wile at the same time your mission is what u do FOR OTHERS! How awesome is that!! I myself want to do that, help others. And in doing that assistance is needed. I look forward to your assistance so I may reach out to others. Please feel free to email, or call so that we can speak further concerning consultation. Sometime in the next week, I’ll submit a more formal presentation proposal. In the meantime, this Friday, 4/17/15 at 9AM, you can also listen to an interview about the research and book on the WKKC, 89.3FM radio station’s program called FocusTalk hosted by Dennis Snipe, the station’s operations manager. All in all, I believe your consultation services will be helpful. I look forward to talking with you about the possibilities. p.s. I really enjoyed this morning’s meeting’s food. It was delicious AND healthy. Whoever selected that vendor did good. Hey JP! My sister informed me that you wanted to have me write a guest blog post for your website. Let me know what you need! Thanks!